How many diesel locomotives be given the title of honorary steam engine? The steam era GWR diesel railcars are usually included and early pioneering prototypes that could produce so much clag that they could be confused with smoke from a coal fire! For me (and this is definitely only a personal opinion!) some of the early designs of diesel shunter types can be considered as such. The class 14 in particular is one and this is for three reasons. First is the coupled steam engine style 0-6-0 chassis. There’s something mesmerising about watching the motion of a coupled chassis locomotive, something shared with steam engines and certain diesel shunters, but not those shared with powered bogeys. The second reason is that they were built in Swindon and were something of a relic in that they were uniquely western – a regional distinction that would soon become less pronounced. The third reason is that it shares something in common with many BR built steam engines – they had much potential life, but were the wrong machine built at the wrong time. They were designed and built primarily for short freight trip workings, a role that was no longer to be found in the UK’s railways. 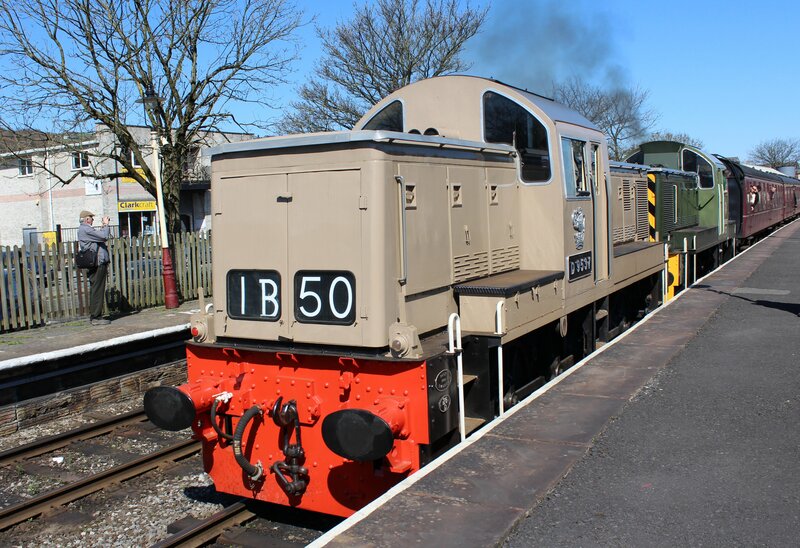 Nicknamed teddy bears due to their appearance when looked at from the front resembling the face of a teddy bear, the class 14’s were a diesel hydraulic type, capable of running at 40mph. At the East Lancashire Railway’s Small Engines weekend (click here to read more,) two double heading teddy bears were in operation. One of these is famous for being on TV and carry’s a nickname D9531 Ernest. This locomotive re-entered service in 2012 after a 15 year overhaul. Ernest has an excellent website (www.d9531.com) well worth checking out. 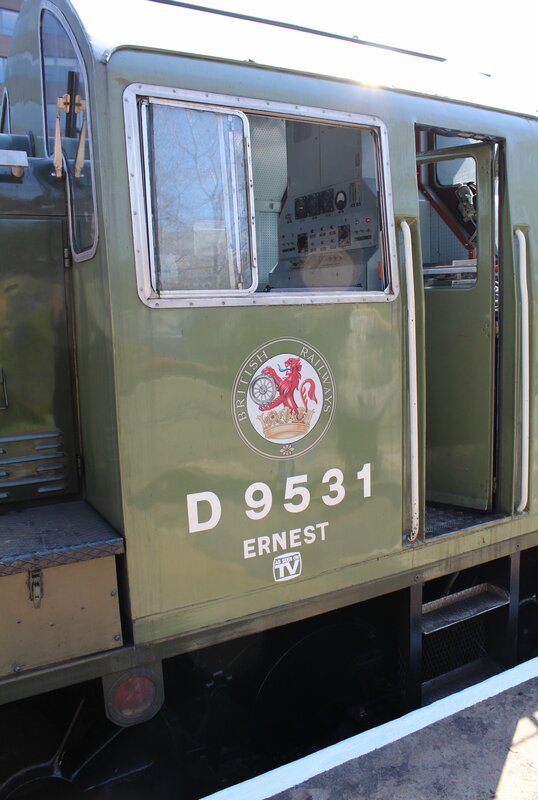 Piloting Ernest was D9537, nicknamed Eric, a locomotive that looked good in its Desert Sand livery. I wonder if these nicknames are as a result of the classic comedy duo Morecambe and Wise?! 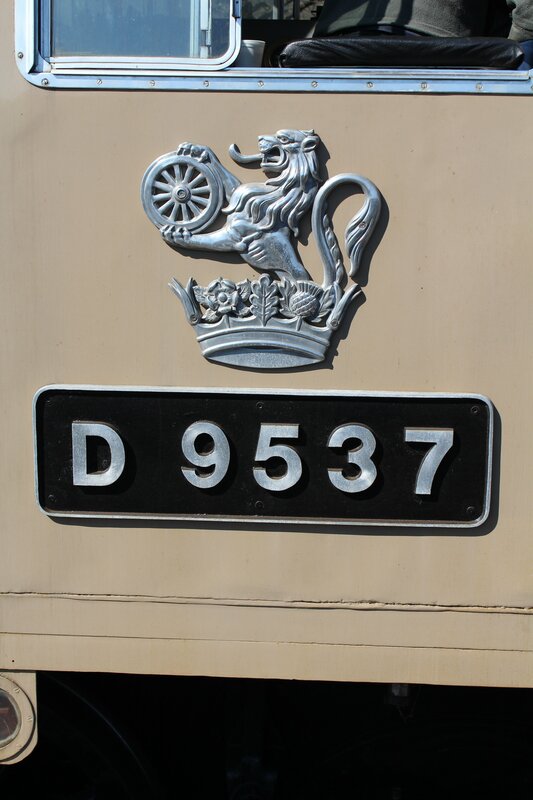 The ELR’s description on their website of D9537 labelled it as being a member of the Royal Bear Force, something that made me chuckle! 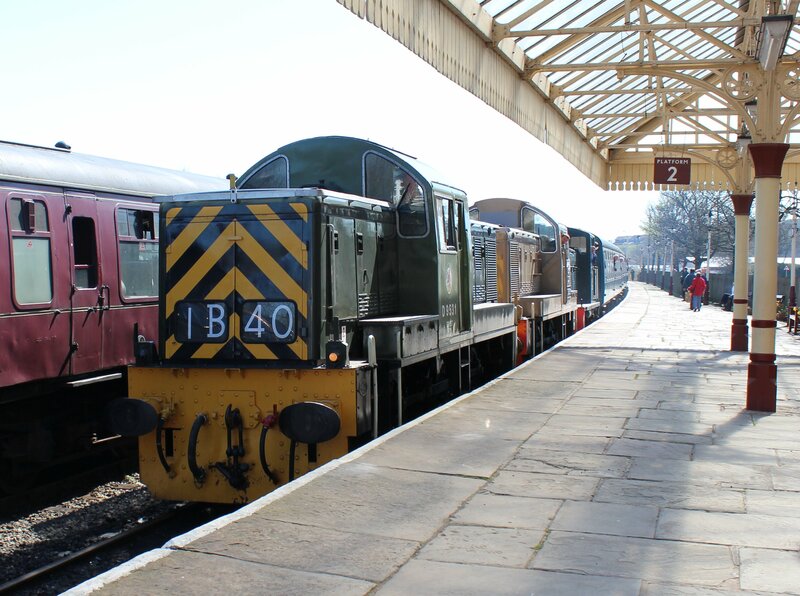 The pair of class 14’s made for an interesting sight that was only surpassed by seeing them triple head with a class 03! 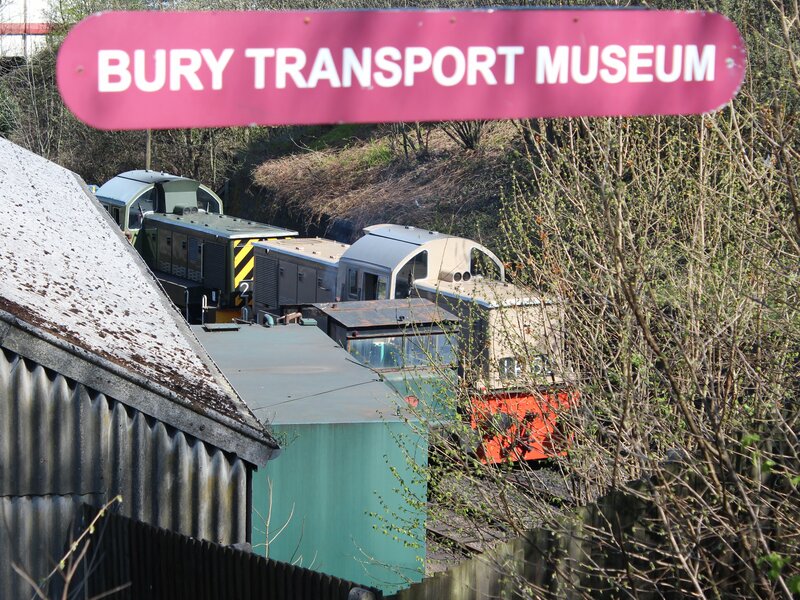 We still have a few more articles from the visit to the East Lancashire Railway’s Small Engines weekend (click here to read more) to look forward to, including a visit to what was one of the greatest and most pleasant of surprises – Bury Transport Museum. Click here to read more! 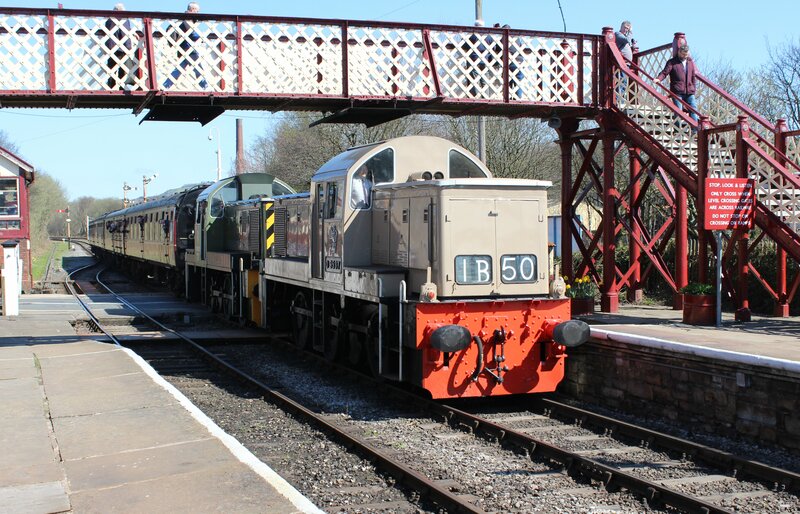 11/05/2015 in East Lancashire Railway. 03 and 04 shunters were classes that had the honorary steam cachet – especially the 03’s with their flower-pot exhausts. I don’t think the forebears of the 08’s and the 08’s themselves were considered in the same way, possibly because they had been in service along side steam locos for so much longer – back too the 1930’s. The first batch of Hudswell-Clarke’s (D2500-10) made a concious effort to look like steam engines with a funnel and a bunker behind the cab! I agree, the 03 and 04 really do have the looks to be honorary steam locomotives. Great comment!